It was at the end of February 2018 and Edin Rahic was on the defensive. Four weeks after his controversial decision to sack Stuart McCall, and having not spoken in public since January, Rahic headed up a table of Bradford City representatives taking questions from supporters at a hastily arranged fans forum. Facing a backlash, Rahic began by highlighting a spoof internet video that had depicted him as Hitler. I was sat amongst the gathering of some 250 City fans at Valley Parade that evening, and like all right-minded supporters I felt a sense of despair, anger and shame that criticism of the chairman had gone down a racist route. Rahic had every right to feel upset by this line of attack. The highlighting of personal abuse to get sympathy was a tactic occasionally used by his predecessors, Mark Lawn and Geoffrey Richmond. It demonstrated not just how far out of proportion anger can get, but how the damage can rebound onto those who instigate abuse. But it was also an important moment in directing the wider campaign that has been taking place to rid Bradford City of the destructive Rahic. A marker in the standards that had to be in place, in order for constructive change to occur. As a community, we supporters could not allow the battle of Rahic’s poor leadership to take place on racist grounds. And also that, as much as possible, the criticism couldn’t get personal. And it is simply because Bradford City supporters, by and large, stuck to such principles that Rahic is now heading out of the club. The debate about his short-comings, and his mismanagement, had to be on rational grounds. The emotions we all felt, fretting over the future of our beloved football club, were difficult to keep in check. But if hearts ruled our heads, the debate would be lost. The reason for this was simple – this was all about communication. As main owner and the man with the money, Stefan Rupp was and is the key to the club’s future. In the Spring of this year, and as the Rahic downwards spiral gathered pace, word reached our ears that club employees were not able to communicate with Stefan Rupp. That Edin Rahic had decried he was the only one able to speak with the joint-owner. This was significant in a couple of ways. Firstly, for club employees with any grievances over Rahic’s leadership, there simply wasn’t anywhere to take it. In most walks of life, if you’re unhappy with your boss you have somewhere to go with it. Your boss’s boss, or a HR department. Any City employees unhappy with Rahic had to either put up with it or look for a new job. The large number of people who exited the club this year tells its own story. And crucially for Rahic, it meant that he could control the flow of communication to Rupp, watching on from the relative distance of Germany. Rupp only bought Bradford City on the persuasion of Rahic, and it was never supposed to be a hands-on, know-every-detail investment. He trusted Rahic to run the club, and relied on his partner to keep him up-to-date. We can only speculate on the nature of the private conversations between Rahic and Rupp over this calendar year, but we can all make reasonable assumptions about Rahic’s spin and version of events. And that’s why the Hitler video was so damaging. Because if Rahic was choosing to make this a xenophobic issue, you can be sure this was the version of events Rupp was hearing. I know from speaking to sources at the time that Rahic blamed supporters for the downturn. For being blind to McCall’s managerial shortcomings because of his legendary status. And that when results fell apart and criticism grew fiercer from supporters, we could be dismissed as fickle. Emotion-led. Not capable of looking at the situation sensibly. Unable to make rational judgements. And when in May of this year Rahic invited me for an off-the-record chat (his decision to make it off-the-record), much of his comments and tone were along these lines. Apparently I was costing the club sponsors and putting off potential head coaches – nothing to do with him. Edin had a huge amount of faith and confidence in himself. In his plan. And it was our fault for not recognising it. So Rupp will have been diet-fed a version of events that suggested City fans were xenophobic, fickle and blinded by emotion. Don’t worry, Stefan, about the fans’ reaction, because Edin has a grand plan that others cannot see. To ensure the illusion worked, all he needed was for Rupp to see visible signs of supporters living up to these generalisations, and the deal would be sealed. And that’s where certain outlets came in. Because in the Spring we became aware that Rupp read WOAP, the Telegraph & Argus and the Bantams Talk message board (an improved version, tone-wise, of Claret and Banter). That whilst he relied hugely on Rahic for what was going on at the club, it wasn’t his only source of information. Knowing this, we realised that WOAP had a responsibility with our content to not fit caricatures, and to present the arguments and frustrations of City supporters in calm, rational ways. To show that we are not overwhelmed by emotion, or simply upset because we’ve lost a few games. Instead, to make it clear what our concerns are and why they were legitimate. That as fans we are unhappy, but that we have a clear head and sensible reasoning. Whilst it is fair to say that the site began to be more critical of Rahic from January – as certain off-the-field stories about his approach reached our ears – it’s crucial to point out that it was not pure Rahic out. Whilst very critical about the club’s direction over the first half of 2018 and very worried about the future, we were a little way off yet from believing Edin had to go, and hopeful that in the summer he could fix his mistakes, change his approach and prove himself. It was only after the Michael Collins debacle was fully played out that it became clear there was no way the club could succeed with Rahic at the helm. We worked closely with people who have deep connections to the club, but not WOAP, to plan certain arguments and debate ideas. For example, knowing that protests would potentially be overtaken by emotion and create the wrong impression, we argued against having them. We received from readers several Rahic out articles that we didn’t publish. Not because we didn’t agree with the core message, but we felt that making this look too personal would damage the overall argument. We don’t think anyone who reads WOAP would disagree that the tone of our pieces has been very much Rahic out. But we tried to frame it as a failure of leadership, rather than because we have some German in charge who doesn’t get it. In fact, we felt sympathetic for Rupp, who was even more let down by Rahic than the rest of us. We also tried to encourage a debate about the kind of club we want Bradford City to be, so that we weren’t just talking negatively all the time. And by building a vision of what we as supporters think the club should be that was reasonable and fair-minded; as a collective, we were also able to demonstrate how far removed Bradford City has become from our roots. Who We Are became an illustration of this. All of this would have had no impact were it not for the fact all we were really doing was to reflect our fanbase. Over the last few months, some have complained that City fans don’t take enough action, and are too weak to save the club from dark forces. That was never the case. And whilst there are some over-the-top supporters who have posted some distasteful things on social media in recent months, in the main, as supporters, we have all been superb at articulating our frustrations and concerns in a reasonable, fair-minded way. You readers, and the comments you have added underneath WOAP articles, have been magnificent. A public protest might have made us all feel like we were doing something, but in fact risked causing greater damage. Whilst it is easy to admire clubs like Charlton and Blackpool for their public demonstrations of unhappiness with their owners, ultimately they haven’t succeeded in bringing change. They also split their fanbases. Protests at City had the potential of driving away Rupp too, which might have presented the club with significant financial issues. We believed measured criticism would be more influential and effective. The arrival of SOS 1903 was also a positive, as it was created on positive grounds. It has to be emphasised that this was a community-led approach and WOAP was only a small part of this. So with City fans heads ruling hearts, and staying rational, the racism angle quickly disappeared – especially as City supporters spoke out against any fan who tried to make this an issue of nationality. And the fickle argument faded too, because as fans our criticisms weren’t centred solely on poor results. The fact City supporters have largely stayed with David Hopkin, for example, has aided our reputation. The media played their part. Simon Parker’s journalism has been excellent, with many scathing but wholly accurate Telegraph & Argus match reports of the club’s failings. And other media stories have had an impact, not least the Zeit piece in October that caused a stir in Germany. In the end, Rahic was left without any counter argument, and just a terrible record of leadership there for all to see. And for that, as fans we should all give each other a pat on the back. Together as fans, we largely articulated our concerns very well. We made it very clear that Rahic was not welcome at Valley Parade, but in a way that focused on Rahic the leader rather than on Rahic the person. The final nails in the coffin were probably applied with Julian Rhodes’ return, which came from Rahic but was at the request of Rupp. It was a realisation from Rupp that his partner had lost his way, was no longer credible, and that it needed someone else’s expertise to salvage the situation. The calm and measured way that Rhodes has steered the ship only further emphasised Rahic’s shortcomings to Rupp. Realising that Rhodes’ return threw open a real chance to finally unseat Rahic, and after individually speaking to Rhodes, the various City fan media groups agreed to release the statement showing our support for Julian. There was no clique or attempt to put ourselves on a pedestal above other fans, but Julian had reached out to us individually to get behind the club because – like or not – we have influence. That said, the joint article was our decision and Rhodes knew nothing about it. After Julian Rhodes’ £1 ticket offer led to a huge turnout against Oxford United, and the players rose to the occasion to deliver a much-needed win, there was a very public demonstration that as a club we can come together. That we will get behind something we believe in. And the collective spirit of the afternoon occurred with Rahic completely absent. A clear message that Bradford City can be united. United without Rahic. The City fan community deserve credit for this effective, dignified and grounded campaign. And even the minority of fans who stood by Rahic do not deserve to be shunned or ostracised. They were absolutely entitled to their opinion, and the debate was healthier for it. 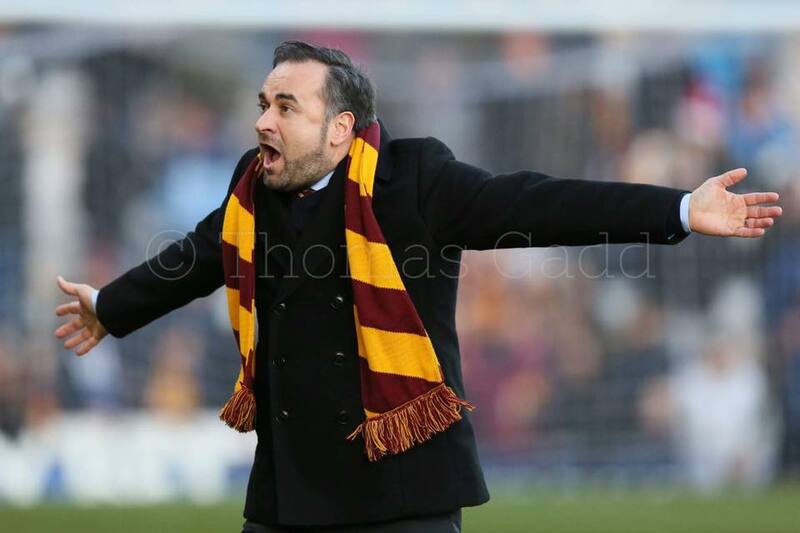 The recent collective spirit and passion will be needed in the months ahead for Bradford City to rebuild. The departure of Rahic does not wipe out the catalogue of mismanagement, with the club’s perilous league position there for all to see. It is going to be a tall order to limit the damage, and tough times lie ahead. Inevitably some will criticise Rupp now, and there remains potential for the atmosphere to remain toxic as some may want to unseat him. Rupp clearly has much to prove to us, and so constructive feedback remains important. We all need to show our passion to get behind the club. Not because we’re fickle, xenophobic or blinded by emotion, but because Rahic’s departure allows us to rebuild the football club and once again believe in it. We may still go down (and we may not) but looking at other clubs who have also suffered draconian and destructive chairmen, and the damage they did, I’m feeling pretty damn good that Rahic’s impact is not a more permanent one. Well done Jason and WOAP! At a time when BCST has been woeful and completely inadequate WOAP has been consistent and judged the situation well. It feels like a victory for truth and justice? It has been very hard watching it unfold since Stuart went, but we now have a good outcome and a chance to rebuild. The idea that we shouldn’t ostracise people who remained devoted to Rahic is laughable. The BCST has shown themselves wholly unsuited to representing fans of Bradford City and nothing short of disbanding it can be considered just. Personally I think individuals should be treated differently to organisations. Individuals were, quite clearly, acting on their own behalf. Any group such as BCST which attempted to quell disquiet against Rahic should be immediately disbanded and anyone in any position of power in those organisations should be disbarred from any post representative of City fans. I was at the 25 year season ticket holders meeting and to me I thought rahic was having a go directly at us 25 yearers. I remember thinking how unprofessional that he should start his talk with a rant about some individual morons putting a racist slant on their posts. I watched him sitting there getting annoyed at one of the staff for something whilst James mason was talking. I spoke with rahic after the meeting and said that it’s a tiny minority who post racist comments and that he really shouldn’t read social media and certainly not point the fingers at people in the room. Congratulations WOAP, a voice of hope in the most horrendous 12 months. I had forgotten what a sense of optimism felt like, suddenly it surges back ! Fans can now play a massive part in our rebirth, keep the faith. Excellent article Jason, you have an uncanny ability to put into words what most City fans are thinking. Just one thing Jason as Rupp bought Rahic out or does he still have his shares in BCFC. cent of nothing is nothing.If Rupp recovers value (which in any football club is difficult) he may get something for his shares.As for his contract we will never know.An expensive mistake by Mr Rupp in trusting someone he hardly knew well. I must congratulate all at WOAP for their measured articles which, ultimately, have played some part in the exit of Edin Rahic. The recent strong rumours of his impending departure have coincided with something of an improvement in attitude and form on the pitch, which suggests the ill feeling caused by his continued presence created something of a knock on effect in previous playing matters. As a strong critic of Rahic, I have steadfastly refused to attend home matches until his departure. Consequently, despite my limited knowledge of the current squad, I have followed match reports and it would appear obvious an effective target man is a priority. Given the impetus the Rahic deparure will give the whole club, the points defecit at this stage of the season is not too onerous, if we could just find that elusive striker and capitalise on the feel good factor returning to Valley Parade. The next home game is going to be something of an occasion, as returning stay aways renew old acquaintances and recreate a positive atmosphere to help the players move the club away from the relegation zone. A good example, Jason, of how the pen can be mightier than the sword. However Macron’s capitulation to opponents of his eco-tax on fuel reminds us that the sword can still wield enormous influence. Jason, you have been a powerful, constructive force over the distressing last few months, and you have inspired others to take up the fight. We have seen other clubs’ fans battle against dishonest or inefficient Chairman without success. However, we have shown that with solidarity, constructive arguments, and believing we were right, and optimistic, we could win. Not only that we have had a strong influence on other fans up and down the country. It remains to be seen what 2019 will bring but there is a wind of change swirling around Valley Parade. Good luck to everyone, hoping that things can be put right, and the heart and values we hold dear, return . I was a reluctant stay away, but returned when Julian Rhodes came back.This is the best of news . It might not stave off relegation, but relegation would, I believe, have been certain had Rahic stayed. This article is really excellent and answers questions we must all have been asking. Assuming times get better, WOAP and other forums should be proud. So should thousands of fans for sticking together in the dignified way we expect from City fans. As far as Stefan Rupp is concerned, he has done the right thing and we should thank and support him. But, above all, today is a happy day for us all. There was no way for Rahic to go , he wasn’t stupid and will have seen the empty seats and knew relegation would mean less season tkts sold and in turn no money to cream off the top. His judgement on player rectuitment along with Gregg Abbott was nothing short of diabolical. The amount of experianced staff that left who might I say had Bradford City best interests at heart said it all . Now we can rebuild even if we are relegated we should all buy season tkts and support Rupp and Rhodes. Happy days, we have OUR club back! Time to draw a line ONCE AND FOR ALL thankfully on this whole sorry experience – I suspect even Stefan had the wool pulled over his eyes by this con-man. Lets now all get fully behind Stefan, Julian, DH and the lads (regardless of whether some are good enough or not) in an all out bid to stay up – we’ve managed to oust the the fake football man – we can d*** well manage to stay up! We ALL played a part in getting him out, we ALL have just a bigger role to play in helping us stay up! Outstanding article Jason. Reasoned and succinct. In any other business this man would have been ‘hauled over the coals’ long ago for such poor management and leadership!! Time now for all of us to stop bickering about stuff we know very little about, pull in one direction and get behind the club, the management and most importantly, the team. Onwards and upwards… Keep the Faith! Great article, it must have been more frustrating for yourselves in the recent months knowing all the shambolic announcements before they happened. All dealt with under protest for change. Well done. The Famous Bradford City is back,I have the image of Nathan Doyle in the league 2 play off final 2013 when He looked at the camera and waved His finger from side to side after the 2nd goal, to say you are not going to take this away from us, the same applies to Rahic, you are not going to take this away from us, GET IN THERE……………. I think we need to hear the Rocky theme again building up to matches to get the adrenaline going for all and hopefully now all the season ticket holders will return, who could not bear the shambolic regime with full support, let’s make it a fortress again. Once again this is another Great Day in the life of a Bradfordian. What a Christmas present, January just around the corner, times are about to change. A wind of change blows through Valley Parade. We must now capture this mood, this energy, this positivity and direct it towards those running the club, this managing the team, and those playing on the field. In my 50 plus seasons watching City, there have been several times when I have been really proud of our fans, and the way we have achieved the exit of Edin is one of them. At Wembley in 2013, 0-5 down we stood as one, and waved our flags for well over twenty minutes. It was commented on by football fans the world over. The Swansea fans congratulated us on our support after the game. It was a wonderful way toi lose a football match. Again at Wembley we stood and watched, angrily, as the marauding Millwall fans not only invaded the pitch but goaded our players and our legendary manager. BUT crucially we did get involved. We let Millwall further tarnish their name. We did not tarnish ours. We had reacted in a similiar fashion at Millwall and Reading when we failed to react to severe provocation. Against L666s at VP we watched as they too drew further disgrace on their clubs name when they reacted toi us going ahead by trampling over their own disabled fans, and the wrecking of 200 seats. 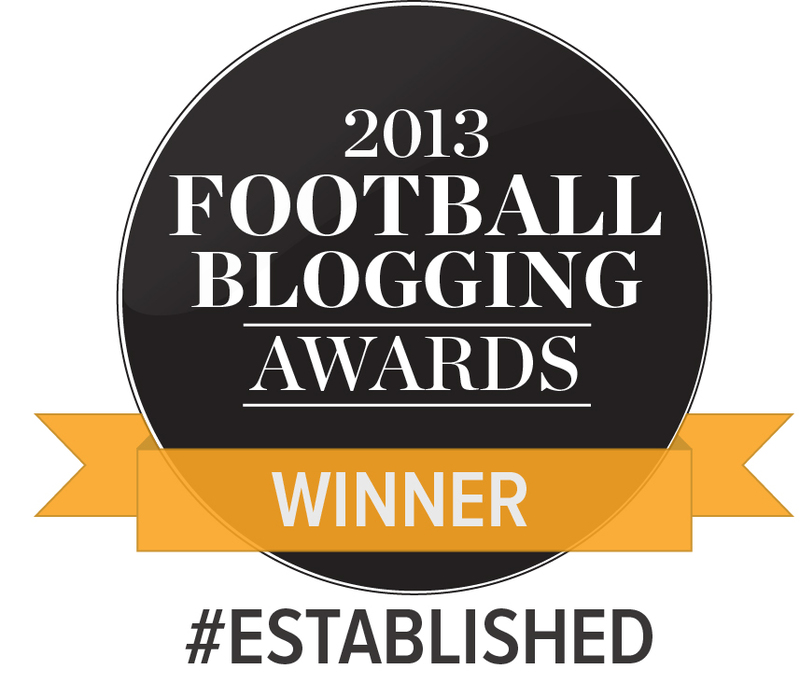 In each case it easy to be proud of Bradford City, of being a fan, and of our fellow fans. So too in this dignified and unified campaign to rid Valley Parade of an individual that was destroying our beloved club. Some of us realised early what was gioing on. Some of us knew a little bit more than some fans. Some of us were shouted down when we tried to tell other fans. We were just concerned and wanted to do something. WOAP took up the mantle and was used as a conduit toi put forward inteligent, articulate and well reasoned feelings of many fans. The Supporters Trust took a different path, and their statements revealed more about themselves, their weak stance, their lack of representation of the supporters, and by default exposed Edin as even worse than we thought. Unfortunately the perception is now that we have no formal representation of our fans, but the hope is that Julian will rectify that during coming months. So ultimately its been the actions of the fans, without the resort to demonstrations etc (Which i thought at one point was the only way forward) that has won the day. So once again I can be proud of our unique and special supporters. Ive been very disappointed with that organisation and in my opinion do not represent the fans . There stance was weak and I seriously think many are on this to not represent the fans but for there own gratification. We need new group of leaders who are on to represent us . Excellent article Jason, simply excellent. Thank you. However, our situation compared to Blackpool’s / Charlton’s is slightly different because our main shareholder and money man hasn’t been at the forefront of our problems. Had Rahic been sole shareholder I don’t feel we’d have seen the change we have. But, totally agree that it has been great to see mainly measured arguments against the situation and also seeing the way we came together against Oxford as a club. We can breathe a sigh of relief that Edin Rahic has now gone for good. For all the frustration and disappointments of the last twelve months however, the hard work now begins with the rebuilding of the club. The task cannot be under-estimated and it is more than the playing squad that needs to be strengthened and overhauled. The whole process is not going to be easy and nor will it be straightforward – we can expect a difficult winter with more reversals to come. Managing expectations is therefore going to be critical. At this point it is vital that we have unity as supporters to get behind the efforts of the leadership team at Valley Parade in turning things around. The biggest danger is that if things don’t look too good in the bleak mid-winter we get the talk of scapegoats on social media and the blame game – whether David Hopkin, Julian Rhodes, Stefan Rupp or whoever. I would hope that we see an end to the conspiracy theories and cynicism being propagated on Twitter / forums although that might be an ask too far. The big test is to come but there is no reason why the club cannot come out of this experience much stronger on the field and off. I have never been morw frustrated , Angry and upset as I have over the the last 12 months with the egotistical now non Chariman at the helm ,I’m so proud and overjoyed on how the City faithful helped to achieve his downfall well done everyone concerned, and keep up the great articles Jason ! !and now I can finally by my 9 year old son the City Tracksuit top he has wanted since July but he understood why and the reasons why I would niot buy it , so a very happy young Bantam today twice over . What an article but then again every piece in WOAP is immaculately written and precisely positioned to get the maximum impact across. These articles were surely part of the reason that Stefan started to realise something wasn’t right about his recent business partner. We are aware of some situations where City fans have allowed their emotions to get the better and show frustration in a more destructive manner but generally speaking the majority of us have followed a route of constructive argument and I’m sure this has resulted in where we now find ourselves. Edin is history and the club, it’s supporters, players and all connected with it are hopefully heading in an upward direction. It ain’t gonna be easy but with recent news and improvements on the pitch there is now some hope City can get out of this perilous position. Thanks Santa for an early Xmas present !! We all now need to get behind the team, management and Julian for the rest of the season. Well written and brilliantly put. Thank you Jason et al for being the online voice of reasonable City fans over this issue. I’m sure I speak for 99% of us in expressing my gratitude for the way you have conducted yourselves throughout Edin’s reign. You set the standard in how to be critical of his regime which ensured our concerns weren’t instantly dismissed as racism/xenophobia. A fanrastic part played ,in what we all hope will continue the upward spirit, quite brilliantly Jason.10 months to implosion.My guess is Stu will be sloshed just now.As badly as when he fell off that car.A very distressing 10 months that have seen many good friends hurt and hurting.We remain friends and together can lift the mood of dark clouds that have enveloped us all.Shankly regretted his comment about football and Life and Death.But an unhappy football club affects everybodies mood that cares.Especially when good men and friends are jettisoned without good cause.Thank you Jason.Thank you for also acknowledging the largely dignified intelligent reasoned arguments other activists played.With one common denominator.A love for all things good in belonging to Bradford City.Mike Stead. Dear Mr. Rupp, I sit on a barrier island off the cost of South Carolina. I was born in bradford and started attending games with my Grandfather when I was about 7 years old in 1957. I left for the Royal Marines in 1967, and apart from a short spell after my service, I never came back to Bradford or the UK. Even so, over all the decades that followed I kept up with the team through news reports when I could. Along came the internet and then it was the live updates from the T&A, until iFollow. I have subscribed every year since and will continue to do so. The reason For this tale is so you understand the commitment made by City fans, young and old to the club. Some may move away physically, but our hearts remain with the club. If you do the right thing Mr.Rupp, the fans will stick with you through thick and thin. Be honest and open and you will have the best fan base in the football league. Its time to turn the page and create a new chapter in our 100 plus year history. I hope you stick around and help create your own positive history with the club. A powerful read Jason, and expressed so eloquently as per usual. It’s hard to explain to an outsider how special this club is, but I believe it formed an unbreakable spirit with its fans, through the tragic event of the fire, and having to endure 3 administrations. We need to stick together as fans and we shall overcome. Now time to show that same unbreakable in our battle against relegation, and ensure a lot of the work done by Lawn and Rhodes does not go to waste. I have already e-mailed the club asking if they will sell a half-season ticket. I can’t really add anything to what has been said here, but I would like to add my name in sheer relief that the worst is over and 2018 can be consigned to Room 101. The coverage by WOAP and Jason has been just what was needed to give us a little hope. However, there is much to do in the next few weeks to avoid relegation but it will be a great help if we can play with the determination that I last saw against Peterborough in the League game and, though I missed it, reportedly in the Oxford and second half of the Peterborough Cup games .